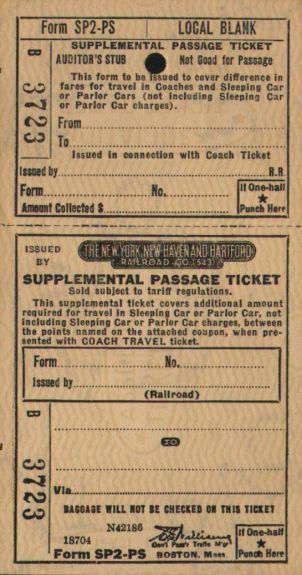 Description New York, New Haven & Hartford Railroad (N.H.,N.H.&H.R.R. 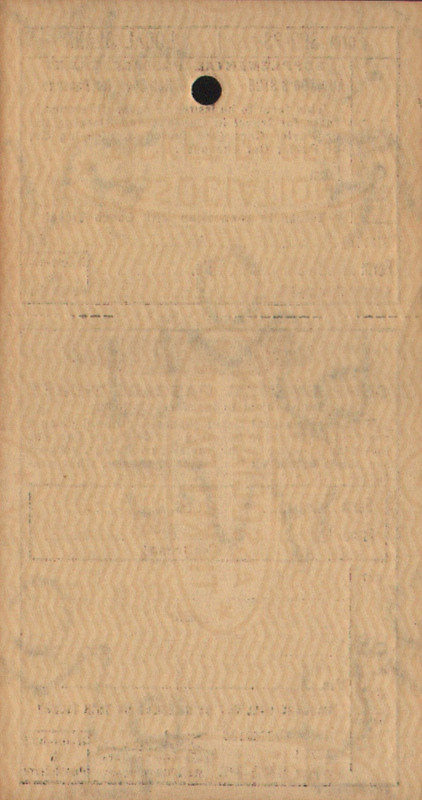 Co.) Unused Form SP2-PS Supplemental Passage Ticket. 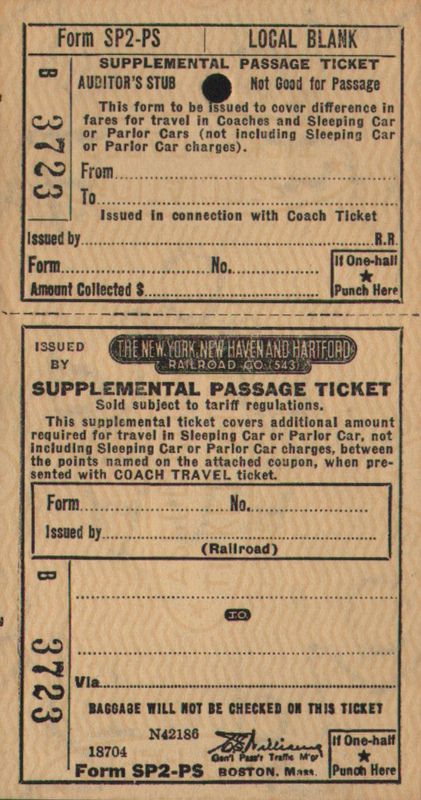 This supplemental ticket covers additional amount required for travel in Sleeping Car or Parlor Car, not including Sleeping Car or Parlor Car charges, between the points named on the attached coupon, when presented with COACH TRAVEL ticket.